In the world of fine wine, Madeira is an oddity. It stands alone, without peers or imitators. The goal of this short series is to look at what makes Madeira different, to assess the different producers of this unusual and interesting wine, and to help those who are curious to learn more to work out the best strategy of discovering Madeira for themselves. First the basics: a short and snappy summary. Madeira (the island) sits strategically in the middle of the Atlantic, between the Portuguese and west African coasts, on an important trade route of old. Madeira (the wine) It was discovered by accident: the story goes that wines from the island were taken on board, fortified with alcohol to survive conditions at sea, and then were baked in the tropical heat of the voyage, developing all sorts of interesting flavours on the way. 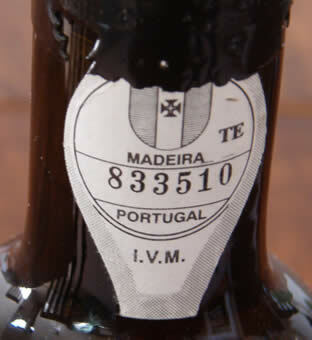 Thus Madeira is a fortified wine that gains complexity by being exposed to high temperatures over a long period. Madeira at a glance Madeira is a volcanic island, and it’s quite a challenge growing grapes here. If it hadn’t been for the island’s important position on the trade routes, thus creating a strong market for wine, it’s likely that no one would have made the effort. Vines are grown in tiny plots—typically, a smallholder will grow vines on pergolas, with cabbages and other crops growing underneath. There are an estimated 14 000 different vineyard plots on the island, and with a total vineyard area of 500 hectares, it’s clear that most plots cover just a fraction of a hectare each. Each of the major companies will therefore buy in grapes from many hundreds of different growers, creating obvious difficulties for quality control. The humidity and warm temperatures are ideal conditions for fungal diseases, which are a real problem. As a result, there are quite a lot of disease-resistant non-Vitis vinifera grapes on the island, which aren’t allowed to go into bottled Madeira. Yields are heroic, often touching 200 hectolitres per hectare (compare this with the 40–60 hl/ha typical of most quality vineyards in other European regions). Although the island has a warm climate, sugar levels in the grapes are typically low, at around 8–10 degrees potential alcohol. If these grapes were used to make table wines, they’d be pretty grim. There are five key grape varieties. The first is Tinta Negra Mole, a red grape that is Madeira’s workhorse variety, but which has gained an unfair reputation for poor quality. Then there are the four classic grapes: Sercial, Verdelho, Bual and Malmsey. These typically make wines with sweetness varying in that order (Sercial is quite dry and Malmsey very sweet). However, these four only consititute around 10% of plantings on the island. It’s the way that Madeira is made that makes it special. Grapes are crushed and the must is fermented, but then, before fermentation is complete and while the must still has some sweetness, alcohol is added to fortify the wine. Sweetness may be further adjusted by using concentrated grape juice (or less attractively, for cheap wines, sugar boiled down into caramel). Then begins the all important maturation process. The modern method used for most commercial wines is called ‘estufagem’. The wine is taken and heated to up to 55 degrees centigrade for a few months. The better, but rarely used method is called ‘canteiro’, in which wines are transferred to casks and aged in lofts that naturally attain warm temperatures in the high 30s centigrade, or sometimes even higher. There’s quite a bit of evaporation from the casks at these temperatures, helping to concentrate the wines. Often, producers will squirrel away their best casks and then bottle them, sometimes directly from the cask, as much as a century later. Importantly, because Madeira is exposed to oxygen and heat through its development, it’s pretty much bombproof and an open bottle will keep in good condition for years. So what are the different styles and quality levels? At the bottom end there are three year old wines. These are labelled simply according to sweetness. As with most commercial styles, these wines will be a blend of varieties based on Tinta Negra Mole. Next on the quality ladder is the five year old category, followed by ten and fifteen year old categories. These start to show what Madeira is all about. At the pinnacle of the quality tree lie the vintage wines, which are much more expensive and often released very old. It’s worth mentioning here a new category of wines, labelled as single harvest or colheita – these are vintage wines released much earlier, and this looks like a category that is likely to be of increasing importance. One further point needs emphasizing. Since January 2002 the rules have been changed, and now only bottled wines are allowed to be exported. It’s a move designed to protect the quality image of Madeira, and has had a big effect on the statistic of volumes exported by cutting out bulk exports. Now the scene is set, the following sections will cover the different producers and their wines.